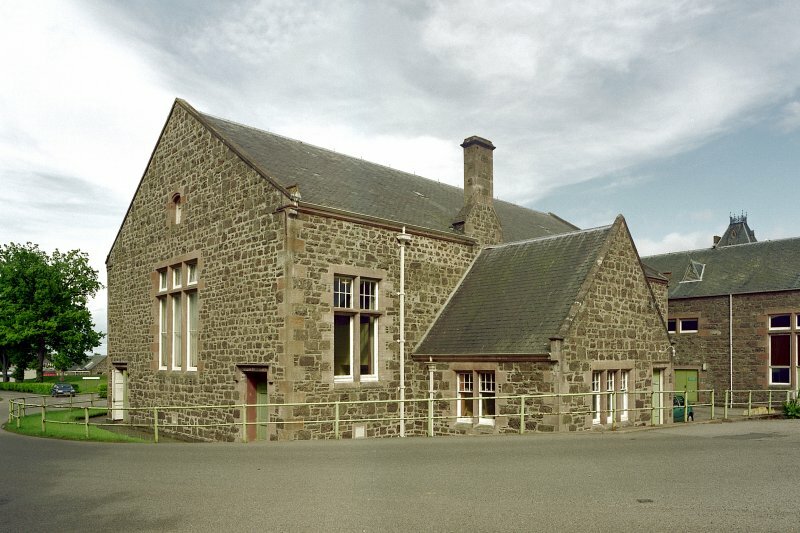 Scope and Content Recreation Hall, Craig Dunain Hospital, Leachkin Road, Inverness, Highland (now closed) This large recreation hall was built in 1927 in red sandstone rubble with pre-cast concrete in place of dressed stone. It was designed to blend in with the rest of the hospital buildings, and provide seating accommodation for 400 patients and staff. The main hall, lit by tall bi- or tri-partite windows, functioned as a theatre, cinema and dance hall, and the small gabled extension to the side served as a kitchen. The value of providing recreational facilities for patients was recognised when the hospital was originally planned, and a recreation room was incorporated into the central block of the hospital. Unfortunately, due to pressure of accommodation for a growing patient population, it was converted into dormitories in 1892. During the next 35 years, recreational facilities for both patients and staff were severely restricted, and the only area which could be used for this purpose was the patients' dining room. The new hall, completed at a cost of £7,000, provided facilities for reading, games, indoor sport as well as serving as a theatre, dance hall and cinema for both patients and staff. Craig Dunain Hospital, designed by the Aberdeen architect, James Matthews (1808-98), opened in 1864 as the Northern Counties District Lunatic Asylum with accommodation for 250-300 patients in single rooms. It was the third District Asylum to be built in Scotland, and occupies a splendid hillside site above Inverness. Additions were made in 1898-1901to include male and female wards, and further expansion in the 1920s saw the construction of a recreation hall. The last major building scheme before the hospital closed in 2000 included the construction of a new chapel which was completed in 1963. Source: RCAHMS contribution to SCRAN.